All of us are busy, aren’t we? If yours is an overly busy schedule and you get stuck for time when it comes to laundry, set up a day or two ahead of time. Scheduling your time for laundry will not only help keep you organized and on task, there will be no excuses for not getting it done! If you want to be more detailed, schedule your laundry type as well, such as: sheets, whites, darks, towels, etc. Believe us – this works! Sorting your laundry at home will save you time. This way when you arrive at the laundromat it will be pre organized and ready to go. Having massive piles of laundry can wear on you if you’re seeing it day in, day out. Use laundry baskets; place them where easily accessible by all! The idea is to prepare yourself for the next visit to your neighborhood laundromat when you see the baskets overflowing. If you have kids, engage them into your laundry chores! They can help with folding, sorting and putting away clothes. They will develop a new skill and you will save time on tasks you would usually do yourself. 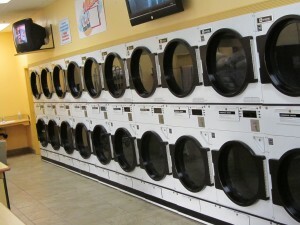 If your neighborhood laundromat offers free pick-up and delivery make the most of it! Life will be a lot easier and you will have time for things that you really love to do. At Washday Laundry Centre, we offer a full-service wash and fold service with FREE pick-up and delivery. For your next trip, keep these tips handy. Click here to schedule a free pick-up. Let us take care of your laundry. This entry was posted in Blog and tagged free delivery, free pick up, laundromat, tips, wash and fold on February 27, 2019 by admin. Laundry day can often be seen as a hassle and something that even gets put off due to it being a chore. However, doing laundry doesn’t need to be as difficult as it can be made out to be! That is why we have put together 3 tips to make laundry day easier and make the chore a breeze! Often all laundry gets thrown into one big pile and can make doing the laundry feel like a daunting task. 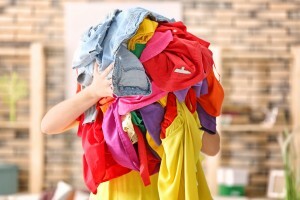 To avoid having one big pile, try sorting your laundry throughout the week. This way, you can avoid spending the time on laundry day separating your different loads. This will not only save you time but also make laundry day seem like less of a chore. The longer you wait to remove a stain, the harder it becomes to remove. Instead of waiting until laundry day to worry about trying to remove tough stains, try to treat stains as they occur. This will save you the headache of stain removal on laundry day and get to focus on the other tasks at hand. Creating a laundry schedule will help to always remember when you need to do your laundry and how often it should be done. This way you aren’t left without any clean clothes on the night of an event because you forgot that you needed to do the laundry beforehand. Finally, our best tip to make laundry day easy is to let WashDay Laundry Centre take care of all your needs! We offer a full-service wash and fold service to our customers, and we go beyond the basics to ensure you are completely satisfied. Our clean, safe, and conveniently located facility is the ideal laundry facility in the Durham Region. This entry was posted in Blog on December 19, 2018 by admin. As we get deeper into November, the colder weather is starting to approach. Luckily, there are plenty of ways that you can stay warm and avoid the winter chills. 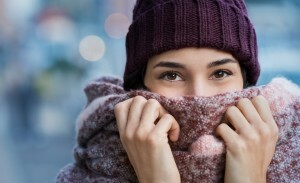 We’ve put together a list of clothing tips to help you take on winter! Dressing in multiple layers is a perfect way to retain your body heat and stay warm. On your upper body, a great way to layer up is by starting with a t-shirt as the base layer, adding a long sleeve shirt on top of it, and topping it off with a thick sweater. With your legs, a longer pair of underwear along with a pair of long johns or tights and warm pants on top of that should do the trick for your lower body! Also, always remember a pair of warm socks, gloves, and a hat so your whole body is covered. Often our hands and feet get the coldest the quickest, and there is nothing worse than freezing cold fingers and toes! That’s why it’s important to pay extra attention to keeping them warm. Besides just one pair of gloves, a great way to keep your fingers warm is to wear a pair of thin gloves underneath your normal gloves for extra layers. You can also put a pair of mittens on top of your gloves to really keep in the heat. For your feet, wear thick, fuzzy socks that will keep in the heat. You can even double these up by wearing a thin pair of socks underneath the thicker ones. Top it off by wearing insulated winter boots and you won’t have to worry about cold feet! When we’re running late in the morning, we tend to try to get dressed as quickly as possible which often results in forgetting to add layers. To avoid this problem, lay out the layers you plan on wearing for the day the night before. This way you won’t need to stress about finding and pulling out all the different pieces of clothing you’ll need to stay warm! With more layers comes more laundry! Here at WashDay Laundry Centre, we can take care of all your winter laundry needs so you’ll always be prepared to tackle the cold with clean clothes! This entry was posted in Blog on November 9, 2018 by admin. Are You An Expecting Mother Making Trips to the Laundromat? For all the moms out there that also take on the task of running a household, your plate is already full; however, combine that with expecting a child and it can be daunting. One of the most time-consuming chores would be laundry. Although it’s very necessary, no too many people enjoy it and it only becomes more physically taxing during pregnancy. The following, are tips to reduce the amount of time and energy expecting mothers spend on laundry. Pregnancy takes a lot of energy from the body and makes it much easier for expecting women to become exhausted. To avoid overexertion, it’s important to avoid lifting heavy weight. Now, when your goal is to complete laundry for the entire family, it’s likely you’ll have heavy laundry baskets to carry. So, to minimize the weight you’re carrying, divide your laundry into several smaller baskets. This same thinking can be applied with detergent as well. Bringing multiple smaller containers is an effective way to lighten the amount you’ll have to carry at one time. If possible, visiting the laundromat around the busy time is ideal. During less busy hours, more washer and dryers are available, which allows you to do multiple loads at once. This helps optimize your time at the laundromat. When you’re expecting, there’s so much planning that has to happen for the new member of your family and having to juggle that with household chores is a lot for anyone. While you’re waiting for your clothes in the washer or dryer, use this time to take a breather and just relax. Consider unwinding with a good book or magazine. For those that enjoy this, shopping for baby clothes online can be a productive way to relax while waiting for your laundry to finish. At WashDay Laundry Centre, we strive to provide services that are very convenient for our customers. If you’re an expecting mom, you shouldn’t even have to deal with trips to the laundromat! Our Wash ‘N Fold service allows you to just drop off your laundry and leave the washing and folding up to us! With loads over 20 lbs, you can utilize our pick-up and delivery service. This entry was posted in Blog on October 2, 2018 by admin. Washday Laundry is proud to have been chosen as one of the Top 3 Dry cleaners in Whitby, Ontario! Three Best Rated is a site that ranks local businesses based on their 50-Point Inspection which includes everything from checking reputation, history, complaints, ratings, nearness, satisfaction, trust and cost to the general excellence. Click here to see our rating and reviews. This entry was posted in Blog on August 27, 2018 by admin. Laundromats serve as convenient outlets to wash high volumes of clothes at once (as you have access to multiple washing and drying machines at once) and allow customers to access additional services such as alterations or dry cleaning. They’re also great places to catch up with other individuals in the community and have discussions. But what about on those laundry days where your children are at home, you have nobody to watch them and the and they must accompany you on your trip to the laundromat? As entertaining and lively as young kids can be, their short attention spans and constant need for entertainment can make them a real challenge to navigate while completing laundry. Fortunately, these tips will keep your little one looking forward to the trip and help you keep your sanity throughout it all! 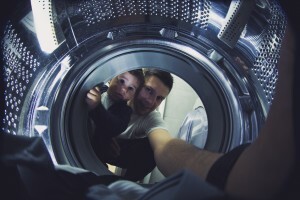 Delegating basic tasks to your children, keeps them engaged during your laundromat visit and gives them a sense of importance with their ability to help you. Furthermore, being involved in the laundry process helps instill a sense of work ethic in your child and shows them the importance of being an active participant in completing household chores. So, on your next laundromat visit, consider letting your child help you load the machines or add the soap to the washer. This goes a long way in making them feel valued and included. Allow them to express their creative side with colouring books or puzzles. All of the above options can be constructive forms of entertainment while at the laundromat. At worst, pull out your smartphone and let them play their favourite game! This entry was posted in Blog on July 23, 2018 by admin. Does Your Child’s Favourite Stuffed Toy Need a Trip to the Laundromat? For many kids, stuffed toys are a source of comfort and with their favourite one in hand, they fear nothing. Their stuffed toy accompanies them outside to play in the dirt, goes on long car rides with them and then finds its way back in their bed for a good night sleep at the end of the day. Having an item that provides your child with comfort and encouragement is awesome; however, the dirt and bacteria that accumulates on its surface are far less awesome. Every now and then your child’s partner-in-crime (or in fun activities) needs a good cleaning to avoid transferring bacteria to your little one and getting them sick. So, here’s how to wash your child’s stuffed toy at the laundromat! Examine for loose threads and tears that could cause the toy to rip open in the machine. Also look for loose parts, such as eyes, noses or an arm, as they could also tear off in the wash. To avoid damage in the wash, make sure to sew on any loose ends prior to placing the item in the wash.
Also, make sure to remove any electronic parts from the toy, prior to throwing it in the wash. If electronic parts cannot be fully removed, it’s best to wash it by hand to avoid damaging its mechanics. If you’ve examined the toy and confirmed there are no fragile parts or electronic components, the stuffed toy is now ready to be washed in the washer. Opt for a front loader–they are gentler and will prevent damage to toys. Placing the stuffed toy in a mesh laundry bag prior to putting it in the washing machine also goes a long way to keep it in good condition. For colourful toys, use cold water to prevent colours from running. 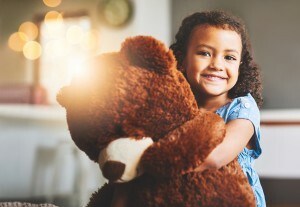 You’ll want to AVOID PUTTING STUFFED TOYS IN THE DRYER, as the temperature is too hot and can ruin them. This entry was posted in Blog on June 12, 2018 by admin. For many families, summer means more dirty laundry. With kids participating in summer sports and playing outside in the sun, going through multiple outfits in a day isn’t uncommon. Although this is a good sign your kids are having fun and making use of the warm weather, it also means more laundry that needs to be done. So, if you’re looking to have fun in the sun and avoid spending your time doing laundry, let us help you! Having a consistent laundry schedule in place, helps maximize your free time throughout the summer. Set aside time for at least one laundromat visit a week. The frequency of your visits will vary depending on the lifestyles of your family members and the number of members in your family; having said that, a schedule helps prevent laundry from piling up, which leads to you having to spend more time playing catch up. Now, for parents the laundromat may seem boring and mundane; however, kids can view a trip to the laundromat as a whole new experience. Take advantage of their excitement by involving them in the process. Kids are more than capable of tasks like loading machines, putting money in the machines and measuring detergent. Also, while you’re waiting for your clothes to finish bring along a book or games for your kids to play. Not only does this keep them occupied but you can read to them or play along with them, which provide valuable opportunities to connect with your kids. It’s important to remember, Proper Preparation Prevents Poor Performance! This means having a plan is a must. Taking the time to sort your clothes prior to leaving the house (or even the night before), opting to use the biggest washers to reduce the number of loads you’ll need to do and separating washing loads into smaller amounts for the dryer (to reduce drying time) will cut down on how much time you spend at the laundromat. This entry was posted in Blog on May 8, 2018 by admin. Did you go to wear one of your favourite shirts only to notice that it’s looking rather faded? Our clothes are a representation of who we are, they can embody our personality and even our interests. So, since our outfits can be such great tools in displaying who we are, how can we ensure our best garments are kept in top-notch shape? The higher the quality of the garments you buy, the greater their longevity will be. 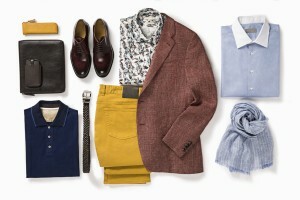 This doesn’t mean you have to spend ridiculous amounts of money on your wardrobe and only opt for brand-name garments, but by investing in a few high-quality seasonal pieces, you’re creating a strong base for a wardrobe with longevity. With quality clothing forming the base of your wardrobe, you can then invest in cheaper, trendier garments for specific seasons. Another aspect you may want to continue is quantity vs quality. Instead of buying a ton of cheaper items, maybe invest in a smaller amount of high-quality pieces that you know will last for years to come. To effectively achieve this, consider creating a budget for how much you feel comfortable allocating towards your attire. Minimize how often you wash your clothes. Proper hygiene (i.e., daily showers, wearing deodorant and using correct undergarments) are all apart of keeping your clothes clean longer. Another valuable tip is wearing the right clothes for an event. If you know you’re going to an activity where you will get dirty, it’s best to wear clothes you’re okay getting dirty and nothing you want to keep clean. This entry was posted in Blog on April 3, 2018 by admin.